Rep. Ilhan Omar, D-Minn., is an outspoken critic of President Trump. But she’s also critical of his predecessor, former President Barack Obama. “We can’t be only upset with Trump,” Omar told Politico for a profile that was published Friday. “His policies are bad, but many of the people who came before him also had really bad policies. They just were more polished than he was. 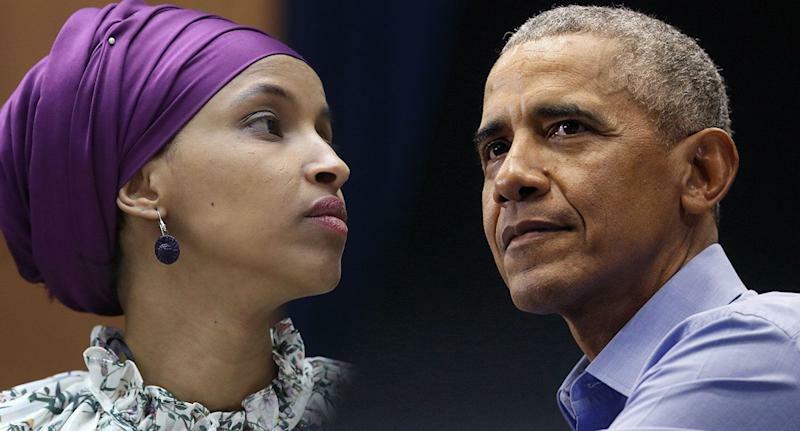 Omar, a Muslim and a Somali refugee who wears Islamic dress in public, noted the “caging of kids” at the U.S.-Mexico border and the “droning of countries around the world” — for which Trump has been criticized — happened on Obama’s watch too. Obama’s office did not immediately return a request for comment. Obama was widely criticized for expanding the use of armed drones, authorizing at least 542 strikes during his presidency that caused an estimated 3,797 deaths, including 324 civilians, according to data from the Council on Foreign Relations. Yet Trump’s drone program was even more active than Obama’s in his first two years as commander in chief. According to U.S. government data released last November, Trump authorized 238 drone strikes in Pakistan, Somalia and Yemen, compared with 186 authorized by Obama during his first two years in office. It’s unclear how many civilians were killed in drone strikes authorized by Trump. On Wednesday, Trump revoked an Obama-era order that required the intelligence community to publicly report the number of CIA drone strikes outside of war zones and the number of civilians killed by them. And Trump has been harshly criticized on both sides of the aisle for his administration’s zero tolerance illegal immigration policy that has resulted in thousands of children being separated from their families at the U.S.-Mexico border. Many of the children separated from their families were held in detention centers. In one such facility, hundreds of children were seen in a series of enclosures made of metal fencing, which have also been characterized as cages. During the Bush and Obama administrations, immigrants caught crossing the border with children were largely treated as civil rather than criminal cases. Under Obama, parents were removed from their children if they were arrested on other charges or had an outstanding warrant — resulting in some children being held in detention centers. But the number of such cases was small compared to the number under Trump. Meanwhile, Omar has come under fire for comments that critics construed as anti-Semitic. On Thursday, the House passed a broad resolution condemning hate that originated from her remarks.